BIOFREEZE® products are a unique, effective pain reliever formulated to provide a variety of benefits for therapy, pain relief, exercise/training and overall comfort. Pain is one of our most universal human experiences. In fact, the Joint Commission recently named pain as the “fifth vital sign”-a condition to be evaluated alongside temperature, pulse, respiration and blood pressure. BIOFREEZE® products contain ILEX, an herbal extract from a South American holly shrub. ILEX is used around the world in various health & wellness formulations. 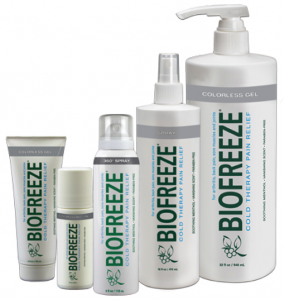 BIOFREEZE topical analgesic does not use waxes, oils, aloe or petroleum. The result is a fast-acting, penetrating, long lasting pain reliever. Muscular Strains The new Spray is specially formulated with natural menthol, MSM, Ilex and a new blend of botanical ingredients, Arnica, Calendula, Chamomile, Echinacea, Juniper Berry, and White Tea. The new formula provides improved performance and longer lasting pain relief for those hard-to-reach areas, such as the middle back and lower extremities. Biofreeze Pain Reliever may be used up to four times a day – both before exercise or therapy (to relieve painful movement), and afterwards (to soothe muscle or joint soreness). In some cases, Biofreeze products may even be used during exercises or therapy. 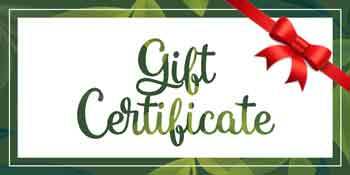 Biofreeze is now available at Natural Therapy Wellness Center in a new colorless 4 oz spray or gel, 3 oz Roll-On, a 16 oz gel pump or spray and a 32 oz gel pump.